If simply riding a motorcycle is not intimidating enough, bust out your inner Bane by donning the Bell Rogue. 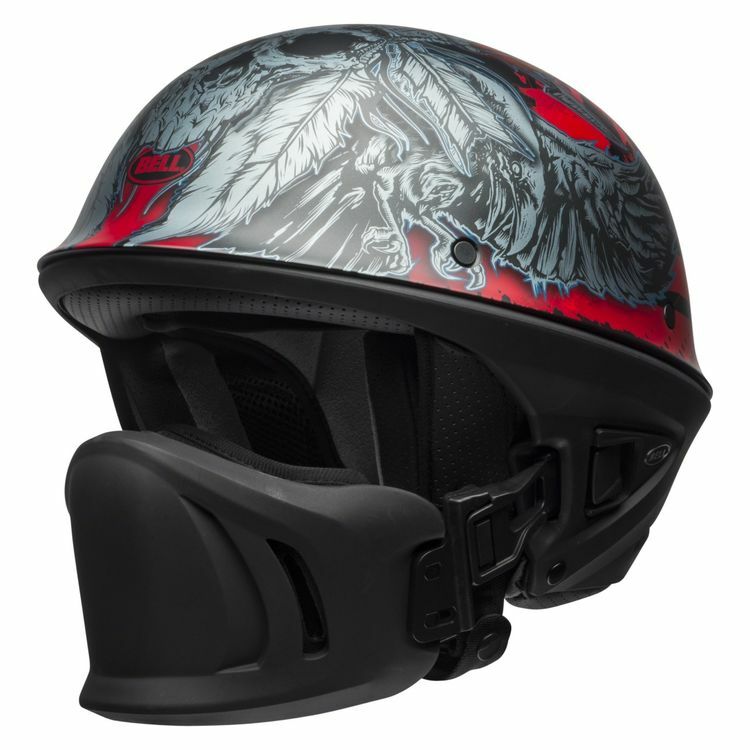 The Rogue has the look of a half-helmet yet gives you the added protection and comfort of a ¾, and the adjustable and removable muzzle, not only puts the fear of god into cagers, but protects your face from road debris and weather. The lightweight composite shell and speaker compatible comfortable liner provide superior riding comfort and convenience. The Rogue gives riders all the features of similar touring helmets while retaining an edgy and stylish look. Please Note: The "muzzle" on the Bell Rogue Helmet is purely for comfort and is not a protective element. This helmet should provide a similar level of protection that an open face helmet would provide. Nice looking helmet. does what it needs to do. Comfortable and light weight. Any compatible goggles on the market for this helmet?